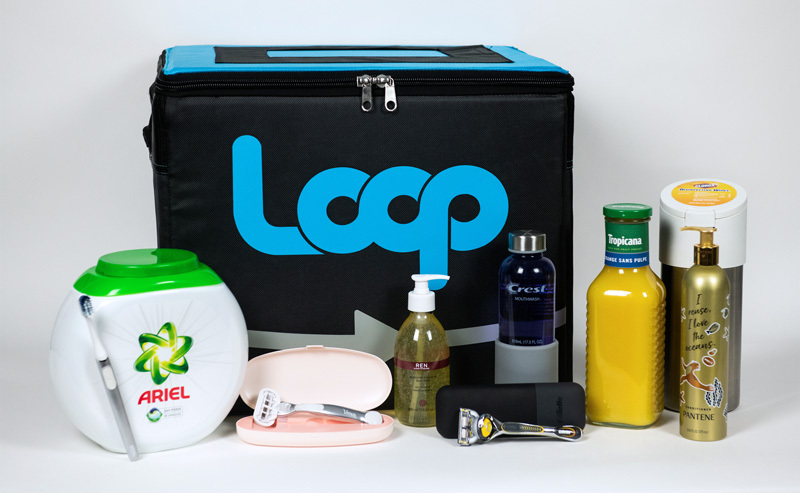 Great Article about New Recycling Project "LOOP"
"How to solve the world’s plastics problem: Bring back the milk man"
CNN Business recently published a very interesting news story titled "How to solve the world’s plastics problem: Bring back the milk man". It was written by Danielle Wiener-Bronner, for CNN Business, and is accompanied by a video report made by Bronte Lord, Bryce Urbany, Frank Fenimore & Jenny Marc. Curious? Go check out the article here! MOOC featuring P4SB Starts Today! The MOOC "Biobased Products for a Sustainable (Bio)economy - Discover how fossil fuels are being replaced by renewable resources to create sustainable and biobased products." starts today, 16.01.2019! It is an introductory level course by TU Delft and RWTH Aachen and is taught by a number of great instructors, P4SB's very own Professor Lars Blank among them. Curious? Learn more and sign up for this course here! 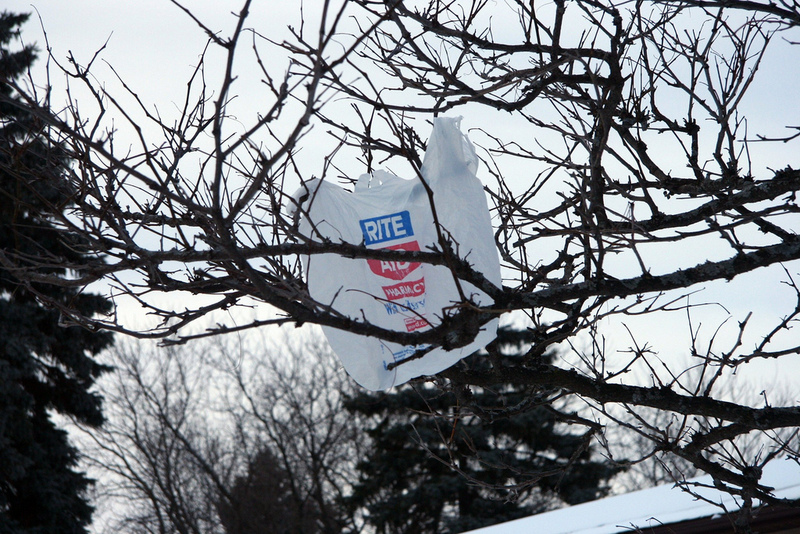 Today’s industries face enormous global challenges when it comes to the fossil-based economy. Fossil resources are no longer a desirable feedstock for many products and governments’ climate goals put various limitations to its usage. Moreover, consumer perception has become an increasingly important factor. With biobased products as an alternative to the fossil-based economy, the bioeconomy can provide viable solutions to these challenges. Industrial Biotechnology: a more advanced course that digs deeper into engineering aspects of bio-based products. MicroMasters Chemistry and Technology for Sustainability: Help drive the transition from fossil sources to renewable energy ones and engineer a biobased future. Sustainable Development: The Water-Energy-Food Nexus: Introduction to sustainable development and its relation to the Water-Energy-Food Nexus. Last October, the 16th International Symposium on Biopolymers (ISBP 2018) was held in Beijing, China. P4SB was represented at this event by a Grand total of one poster, two short talks, and three invited lectures. The full program and more information about this event can be accessed via the ISBP 2018 website. RWTH insight reports on P4SB! RWTH's University newspaper, RWTH insight, has run an item about the P4SB Project in their most recent issue. The article was written by Celina Begolli, and appeared in the third issue of RWTH insight to be published in 2018. Curious? Go read the article (in German) here! Maria-Tsampika Manoli Presents at ISBP 2018! 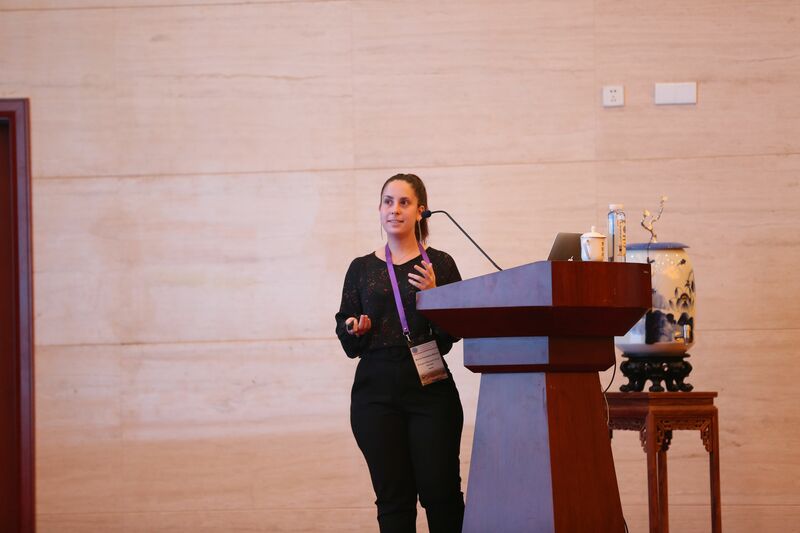 At this year's International Symposium on Biopolymers (ISBP) P4SB's very own Maria-Tsampika Manoli gave a talk on "Systems Analysis and Synthetic Tuning of the PHA Cycle in Pseudomonas putida KT2440". The ISBP 2018 was held in Bejing, China, and took place from 21st to 24th of October 2018. Want to know more about the ISBP 2018? Take a look at their Webpage! Auxiliadora Prieto Appears at ISBP 2018! 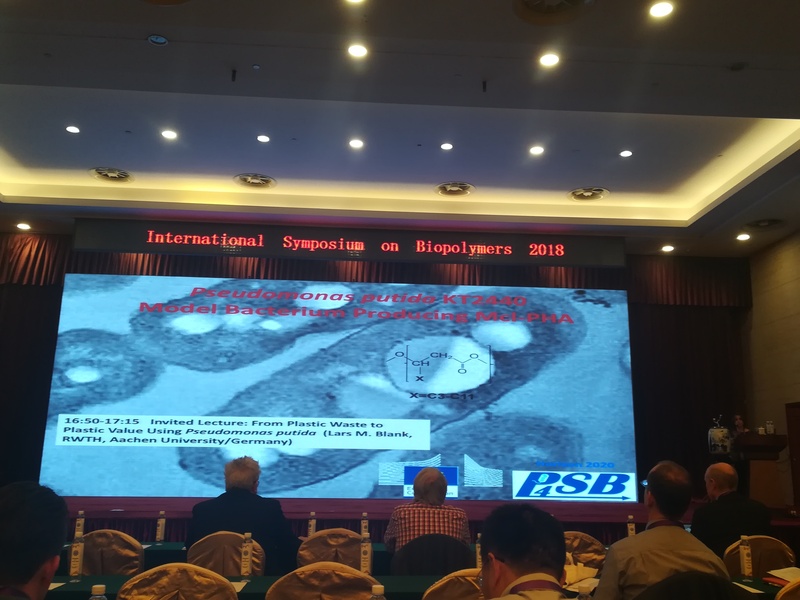 This year's International Symposium on Biopolymers, ISBP2018 for short, took place on October 21st to 24th in Bejing, China. P4SB's Auxiliadora Prieto appeared at this event as an invited lecturer, giving a talk about the P4SB project. Congrats! Curious? Find out more about the ISBP2018 on their website! Sebastian Köbbing Presents at Meeting of Applied Synthetic Biology in Europe Series! P4SB's very own Sebastian Köbbing gave a talk at the fourth meeting in the Applied Synthetic Biology in Europe series. This event took place on 24th to 26th of October 2018 in Toulouse, France. Want to know more about this event? Go visit their Webpage!